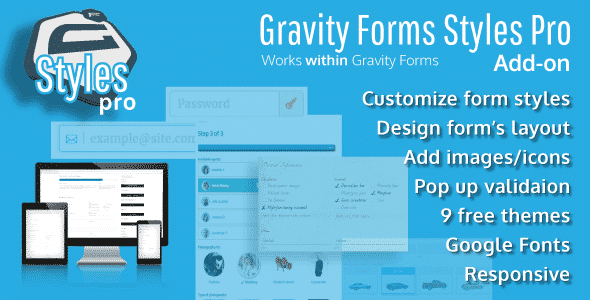 Buy Gravity Forms Styles Pro Add-on 2.4.8 or download for FREE by subscribing to our VIP Membership Plan. Join the club of more than 1100+ happy members. Great price – Good solution for customizing of your forms.